Welding Positioner offered are well recognized for their precision engineering standards and can be made available in different operational specifications as demanded by the customers. 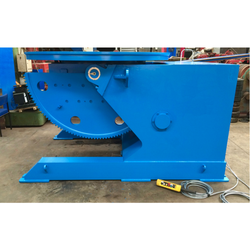 These machines find special usage in meeting the welding application demands where they provide functionality as a kind of deflection machine with functions of the upset as well as gyration that can put the weld surface in the best position. Further, we can provide these machines as per the demands of the customers.